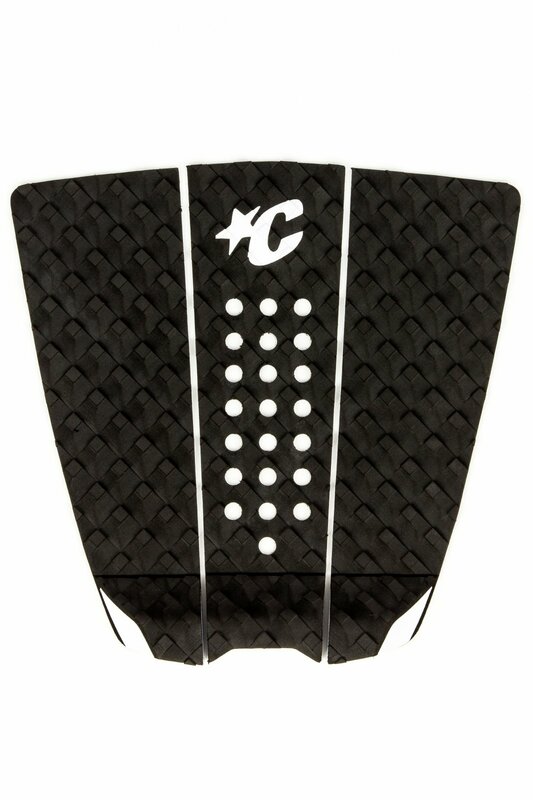 The Wide 3-piece flat traction pad is designed for the little bit of extra traction area with 10% more area than a standard traction pad. The Wide is perfect for wide tailed Fish and groveler boards. Diamond-Loc traction, a 28mm Ramp Kick, 3M Adhesive backing and the exclusive lightweight premium EVA formula.